I like comparing the musical approach of Nattefrost to that of Jean Michel Jarre. Like the French synthesist used to do at the beginning of his career, Bjorn Jeppesen produces a title that hooks from the first listening on each of his albums. A title that would be a radio hit if the FM stations were still interested in EM as in the years of free thought and cultural creativity. And From Distant Times does not make an exception to this rule. Flanked by Matzumi (Kathrin Manz), the Danish synthman pursues his electronic odyssey in the lands of cosmic rhythms. It’s without surprises that this tandem, who had stunned our senses with the powerful "Die der Erde" (DyingSun/ScarletMoon), meets the interesting challenge to unite the poetic and filmic approaches of Matzumi to the heavy and static rhythms of Nattefrost, depraving so the very beautiful electronic melodies which overhang From Distant Times.A big gong, as in the introduction of Matzumi's In Mutatio Tempora, opens the very atmospheric and cinematographic "First Movement". Synth layers to very orchestral fragrances are waving around there with some slow uncertain movements, creating a dramatic mood while zigzagging among choirs roaming in the calm of ambivalent musical territories; there where pulsating sequences flicker as some wings of dragonflies in wait of an apocalyptic signal. This intro sets the tone in a powerful album where orchestral momentums surround indomitable rhythms. "Evolution" rocks in the orchestral ashes of the introductory track when From Distant Times' first rhythmic rides go downhill in a slow hesitating staccato. A spasmodic pulsation shakes this uncertainty introduction, tumbling down the rhythmic plains of a balanced gallop greeted by fine solos flooded in the mists of ochred voices. Although every track of From Distant Times is different, there is always a link that connects them. "The Ancient Land" espouses the tangent begun with a fluid and lively rhythm where keyboard keys weave a circular melody which leans on sober percussions. Always so warm the synth throws some sweet melodic solos which are mixing their harmonies to fine filets of ethereal voices gliding in a surrealist setting. The more we move forward and the more the rhythms liven up of a fascinating heaviness. Rhythms embroidered inside a superb mixture of sequences and percussions, as on "The Portal" and its melodic approach which spits reminiscences of Tangerine Dream on Underwater Sunlight. Scalable the rhythm is at first fragile and progresses with beautiful sequences of which the fast oscillations are slowed down by a beautiful play of percussions to varied tones and forms. The angelic voice of Kathrin Manz collects this portion of rhythm which switches shape towards a surprising heavy and aggressive structure, to pound on a heavy undulating bass line as well as some echoing percussions which find refuge into this smooth melody drawn in "Song of the Whale", before melting in a finale all in atmospherical and filmic effects. Jean Michel Jarre's influences perspire all around From Distant Times' hidden recesses. If it's not at the rhythms level, it’s on the melodic ones. And "Rise of the Phoenix", with its hoops which flutter as wings of dragonflies gathering nectar on the petals of a rhythm filled by jerky steroids, is the perfect example. And when I wrote about immediate hit, I referred to this catchy track where the rhythm, bombarded by a street gang step and drawn by sequences which plough the cosmos as snips of scissors in emptiness, has difficulty to climb the slopes of a heavy stroboscopic ascension which perspires of its cymbals and galactic tones while the melody, divinely electronic, is silkily forged in wonderful synth solos. Solos floating and singing into mists filled by iridescent vocalises to forge a delicious ear worm. Built on a bed of sequences swarming to alternating strikings, "Time Passing" offers a slow hypnotic rhythmic journey where the voice of Kathrin Manz roams among layers of a synth sometimes cosmic and sometimes orchestral. "Medieval" wears the nobility of its naming with a very theatrical envelope released by synths from which strata intensely orchestral brings us back in the time of the medieval battlefields. Heavy and slow the rhythm is no less powerful and drags its sequences which come running beneath the envelopes of a synth to singings of war, quite as in "The New Dawn" which follows with an even heavier rhythm wrapped by a synth full of orchestral veils and twisted harmonious solos. If the percussions and sequences weave convoluted rhythms which are not pull any punches, the synths are incredibly musical and embroider some passages which attract the hearing, both by solos and harmonies and especially ambiences. Following this premise "Cold Midwinter Nights", with its nervous rhythm contained in its film element and its solos scattered in the winds of a harmonious discord, is at the height of all that surrounds From Distant Times. This first collaboration Nattefrost & Matzumi gives birth to a great album. 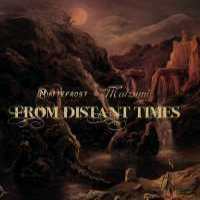 From Distant Times is a powerful and lyrical opus, forged into Babylonian, cosmic and musical ambiences which wrap melodies floating such as silky winds on sequences and percussions which pound rhythms as creative as electrifying. It’s one of the great albums to be released this year that I recommend to everyone who love driven based sequences EM, especially those who miss Jean Michel Jarre. 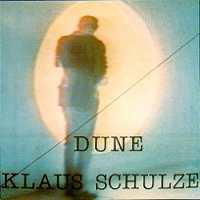 It took me some times to fully appreciate the Klaustrophobic atmospheres of Dune and even now I still find it quite difficult to enjoy this album where Klaus Schulze continues to pay tribute to an author who influenced his culture. On X he composed the wild "Frank Herbert" and now on Dune he pushes his admiration by written a deep atmospheric ode which has a close link to the book. Furthermore it’s also the end of the analog era of Klaus Schulze; afterward it will be the digital era starting with Dig It. The title-track is deeply floating. No rhythms, nor fine pulsations. It's a long 30 minutes track of dark and mystic ambiences which begins by a typical orchestral anarchy of the improvised introductions by Schulze. Some choirs coat this land of desolation with sterile chants which are melting to the lamentations of Wolfgang Tiepold's cello strings that creates an intimate mood with a dexterity which espouses marvellously the thoughts of a Schulze lost in the mists of his Mellotron. Slow and quiet "Dune" is the highlight of "soporification" with a Mellotron which still breathes the breaths of X and some celestial choirs which hum over a great mixture of cello and Mellotron, drawing the axes of a beautiful orchestral duel. More livened up "Shadows of Ignorance" dances on a light rhythm, ploughed that it is by strikes of cello and drummed by alternated strikes of percussions that a musical synth wraps of very melodious solos. This track introduces for the first time Schulze's favorite singer, Arthur Brown. And this is where I started to dislike this track which has a great potential and a beat which is among Klaus' bests. If the music bewitches, the vocalises of Brown are without expressions. And honestly I don’t understand the bewitchment of KS for Arthur Brown. His voice, although poetics by moments, doesn’t stick on Schulze’s structures. Half between chant and prayer, it sounds so discordant in regard of the harsh and jerky rhythms as well as it tarnishes the complicity between Schulze and Tiepold who weave a delicious rhythmic imprint for that time. A voice that I find without soul and which doesn’t manage to enrich the depth of these shadows of ignorance. It's a pity because "Shadows of Ignorance" is a quite a track. Recorded in concert at Le Abbaye de l’Épeau, "LeMans" is typical of Schulze’s improvised flights. It's a dynamic track which begins with sequenced percussions which roll a rhythm waving under great solos. This minimalist percussions structure runs in continuous loops on a changing movement where the musical rhythm is fading to leave room to an inconsistent speech of synths, which has doubtless inspired the robotics languages of arcade games, before falling in a morphic phase and a finale of the most atmospheric where intense Mellotron veils crown an atonal finale. Contrary to the works which followed Picture Music to X, Dune has no this spark which bewitches from the first listening. There are no sequences which captivate and enchant, as well as synths which bewitch and magnetize. I had to listen again to it more than once before letting myself enthral by the title-track while I am always incapable to bear the voice of Arthur Brown on the second one. This being written, we don’t have to keep silent the musicality which lies on "Shadows of Ignorance" and the silent poetry of "Dune" which is the pivotal part of this 11th opus of Schulze; a title of which we recognise the influences here and there among contemporary EM makers. Although that after X, I maintain that it rather lands flat. In fact I shall not recommend it to introduce a greenhorn into the universe of Schulze because Dune is definitively not the album odometer of the quality of his works. 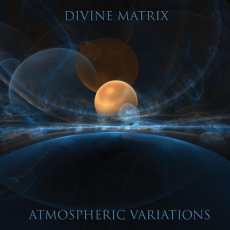 Divine Matrix saw the electronic day with Invisible Landscapes. His designer, Steve Barnes, exchanged his clothes of esoteric bard from New Day to question his modern electronic equipments of an approach that was much interested in a more complex EM. Then came the interesting Invisible Landscapes and the more than interesting Atmospheric Variations. Laid on 11 titles of an average length of 7 minutes, this last opus of Divine Matrix is an electronic journey in the heart of the links that unite the atmospheres of the earth and cosmos. Every title evolves in its atmospheric bubble where static, cosmic and earthly sound effects encircle atmospheres as much electronic as esoteric and rhythms as much heavy as static based on surprising sequences weavers of melodies. "1000 Light Years" begin the musical odyssey with a delicate synth filet which waves with its reflections of ethereal voices, awakening some groaning musical tears which flow with grace on the strings of violins into carpets of mist. Sequences resound. As ions thrown in emptiness they float and answer to the echo of this cosmic corridor, drawing some fine linear movements with finely stroboscopic outlines. Another line with more crystal clear and melodious sequences emerges. Its keys swirl in the meditative trails of the floating ions, shaping a beautiful morphic melody with a soft and fascinating rhythm which will be the cradle of the duality of the ambiences and rhythms that live within the divided atmospheres of Atmospheric Variations. Playing constantly between cosmic and earthly sound elements, Steve Barnes weaves the lines of a surprising album where fine melodies are born from atmospheric dusts. "Jigokudani Springs" is a sweet contemplative ode where the notes of a dreamy piano flow in the middle of a static brook. Of innocent appearance, the melody is veiling itself of an Asian approach with a light rhythm which rebels in the breaths of a synth to circular waves and voices of a cosmic mermaid. We also find this kind of structure on "Weather Satellite" and its chords dancing like ballerina which magnetize the hearing and wind a long river covered with ghostly breaths. "Magentic Disturbances" spreads its oblong synth layers which coat the jingles of a disordered clock. There is a bit of zest of Tomita in this slow wrapping movement with orchestral synth layers which float such as winds of ether. Atmospheric variations with a rich sonic fauna which encircle subtle and fine electronic melodies that haunt the hearing among rhythms absent, elusive, raising and dying; such is the musical adventure proposed by Divine Matrix. Atmospheric Variations is one of the good surprises to get out of the AD Music label. It’s the kind of album brought out from nowhere, which is intensely electronic and which will please to the fans of an atmospheric EM with the fragrances of the genesis of the New Berlin School movement. Here is Jerome Froese's new creative project. As his paternal does with the CUPDISC series, MOONLOOP is a series of mini cd from which each issue will concern a specific subject and every subject will be accompanied by 2 titles at indefinite lengths. The first chosen subject seems to be the childhood of an only child (Einzelkind) with as artwork a picture of Jerome alone in front of a TV in Japan during the first tour of Tangerine Dream in 1983. And most of the sounds are resulting from old video games and consoles that would have (speculations here) furnished the solitary person childhood of the young Jerome Froese. Childhood or not, nostalgic or not, the music of Jerome is always so heavy and roaring. "Glasmenagerie", for Glass Menagerie, is a powerful whirlwind manhandled by knocks of percussions. With years, Jerome's writing style brings the insertion of beautiful melodious approaches to his tracks of lead and those of "Glasmenagerie" float on heavy pulsations and breaths of metal finely hatched. The structure is heavy and powerful and is filled with a delicious musicality which stores its harmonious filets through the jerky riffs of his Guitartronica. It’s very good! Furthermore there is this strange smell of candy pop which floats here and there, adding a fascinating bit of innocence at a title cruncher of children. If it could be, "Sprachlabor" is even heavier with an intro built on a long streamer eroded by powerful reverberations which break into a curt, powerful and jerky rhythm. A beautiful unreal melody thrones there, like a child-robot who's splitting a man a bit acerbic from a childhood forgotten in a corner of the lounge. It took me time, but I eventually became an ardent fan of Jerome Froese. There is an immense talent behind this young man to whom I have often, and inequitably, thrown the blame for the fall of Tangerine Dream. It's only much later that I understood that without his son, daddy Froese would have had the breath quite much shorter. Anyway, Einzelkind is a very good EP which follows this tangent of rhythms of lead and harmonies of silk begun in the shade of the classics of TD (Dream Mixes), continued on Neptunes and which strengthens Jerome Froese as being the king (pioneer?) of Heavy Rock Electronica. 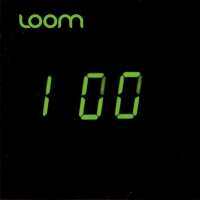 "100 001 is a tepid but musically nice invitation to discover Loom which is the meeting of the beast, the poet and the centaur"
The bonds that tie Jerome Froese and Johannes Schmoelling, go back to the time when this last one was member of Tangerine Dream. Moreover on certain photos of this period we noticed a very attentive Schmoelling to the young Froese. Thus it’s nothing more normal that sooner or later these two ex-members of TD would combine their talents in some kind of musical project. And it's later than earlier that this project saw the light of day. In fact the idea had already germinated in 2008 but for various reasons, the Loom project was postponed in 2011 with a performance that the new trio, flanked by Robert Waters; a much in demand studio producer in Berlin and who has already worked with Schmoelling, gave a much appreciated show at the prestigious EM festival of The Netherlands, E-Live in October 2011. 100 001 is a short EP that was launched on the fringes of this event. An EP consisted of 4 very melodious tracks, written in solo by each of the members. Robert Waters is the most prolific one by signing two of them, while Schmoelling and Froese are dividing the rest. Sequences flittering with furtive and jerky keys open the intro of "The Light that Failed",a furious and heavy title composed by Jerome Froese and which is in the same vein as his latest works. Their lively and shrillness oscillatory crossings are throwing themselves within solid percussions, entailing the rhythm in a whirlwind fed by the heavy riffs of the Guitartronica. In full control of his pachydermic structures, the young Froese knows how to bring a harmonious filet to another title of his heavy electronica that ends with a great sequencing mood à la Thief. It’s very good and by far the most powerful track on this short EP. "Sun Castle" and "The Hand of Bosch" were written by Robert Waters. It’s the very first time that my ears meet the music and I got to say that I was pretty charmed by "Sun Castle" which starts with a synth which widens its warm breeze towards a fine tempo slightly cadenced. It’s a pleasant melody sits on a good layout of sequences and percussions which encircle a synth more romantic than dramatic on a structure which is a crossing between Jerome Froese and Tangerine Dream. "The Hand of Bosch" is a title which tends a little more towards a New Age style with its notes of guitar filled by a Celtic charm on a delicate structure of silk. It’s little as if Mike Oldfield met Vangelis. We looked forward to listen to some new material from Johannes Schmoelling and we are not disappointed with "On my Way" which rests on a rather dramatic introduction, but where is flowing a very nice melody which is on horseback between Wuivend Riet and Instant City and which will widen its harmonies up until Time and Tide. Loom is the meeting of the beast, the poet and the centaur. If it's less obvious on 100 001, which is a tepid but musically nice invitation to discover this trio, the performance on Scored spits out this apologue. As for this first EP, it shows some beautiful possibilities for a hard, powerful and very harmonious EM where the wild rhythms of the Tangerine Dream's rock years tangle the melodic times of Schmoelling. Perspectives of days and of E-music that is maybe at the diapason of our waits! I think among others of "Modulation Agents" and "Crystal Red", two new titles on Scored composed by Froese/Schmoelling and Froese/Waters. And, as it is often the case with the works of Froese junior, it’s in a limited edition of 500 copies which are, I believe, already gone. "Scored is simply wonderful! It's a great concert which makes us wish that Tangerine Dream could imitate this fraction of its roots"
There are moments like that! Moments which illuminate the senses, revive the souvenirs and make us dream. Fortunate are the ones who were able to attend the concert given by Johannes Schmoelling, Jerome Froese and Robert Waters at the E-Live festival on October 2011. Fortunate because for them this magic moment will remain engraved in their memories, while the others (us) will have to content of imagined these moments by the waves of this superb hearing witness whom is Scored. 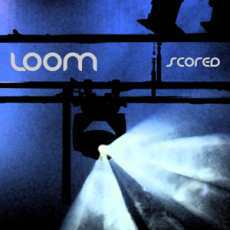 As mentioned so well by Schmoelling; Loom is the contagious insistence of 2 young wolves of EM who imagined the impact to join their enthusiast to the very melodic and cartesian approach of the Austrian musician. And the result, to say the least for this concert, exceeds the most naive expectations. Diving into the repertoires of Tangerine Dream , Johannes Schmoelling and Jerome Froese , Scored offers a very strong performance with an electric concert where the presented titles leave the cosy comfort of the usual chloroformic performances. Alone with his piano, Johannes Schmoelling jostles our feelings with a vibrating version of "Palace of Dreams". Sometimes delicate, sometimes aggressive; TD's ex-member toys with his notes, as with our souvenirs, demonstrating his virtuosity to hypnotize an audience with an approach as melancholic as romantic, in particular on "Circles" which is in the full heart of an electronic fury. First novelty on Scored, "Modulation Agents" reminds me of the atmospheres and rhythms of Near Dark. The sequences are flit around with their wings of steel a heavy and static rhythm which bubbles literally on the multiple strikings and chords from the sequencer and e-percussions, while the synths and Jerome's guitar scratch the rhythmic calcification of ghostly streaks and echoing riffs. A superb fluty synth covers the heavy and ascending rhythm of "La Marche" ¸ which is wrapping itself of an air from the Quichotte/Tangram era. After "Catwalk" pummeled by riffs of a heavy guitar with solos of fire (strange, me who always found this track annoying), "Going West" brings us towards another period of Tangerine Dream with a remarkable interpretation. An interpretation all in warmth and nuance, where synths are musically divine and the sequencing is magnificently reproduced with more emphasis. It’s a great version to make Edgar go pale. And that doesn't stop there! "Matjora Is Still Alive" is returned with an incredible correctness. All the sweetness and the complexity of this track as much intriguing as melodious are played with a surprising sensibility. The notes of piano pinch the hearing with a piercing musicality, displaying all the precision of Schmoelling to deeply move the order of emotions. Even if the rhythm of "A Room in the House Closed to the Public" is floating, it is of lead when placed between two melodious approaches of Schmoelling. The riffs are howling, the solos incisive and the sequences admirably well programmed. That gives a heavy and very electronic ambience to Scored whose setlist is well polished up and an immense depth to the proposed titles. Like "A Long Way Home" which sees its melancholic and melodic scent being heightened by a more alive and less gloomy approach when situated between two heavyweight such as "A Room in the House Closed to the Public" and the ebullient and nervous "Abacus". "Crystal Red" is another new track signed Jerome Froese. It’s a title which is in the same vein as we find on the excellent Shiver me Timbers and its intro gives the shiver. The rhythm and the harmonious structure are very near the works of Tangerine Dream with a synth filled by strident solos and a tune which hooks instantly the hearing. The first keys of "Towards the Evening Star" pierce the enchanted silence established by "Circles" and the quiet harmonies of Schmoelling. And the proposed version is sunk into Jerome's heavy riffs who spits fire. These riffs, carried at arm's length by strong percussions, mixed in the sweetness of synths draw a suave paradox between the sweetness and violence on a title of which the interpretation brings out all of the fury. Especially placed before the very quiet and melodic "Rise of the Smooth Automaton" whose romantic sweetness gives us the taste to discover The Zoo of Tranquility which misses to my culture as well as in my discotheque. Afterward fall "My Reality at 52 Degrees of Latitude" and its lugubrious intro worthy of a good horror or suspense movie and "Cartoony Universe". 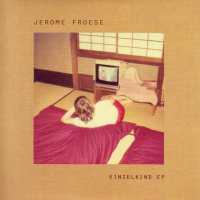 Two explosive and powerful tracks which depict Jerome Froese's incredible rhythmic universe. Melodic the guitar is also wild, while the rhythms are as much fluid as static. The concert ends with a rather beautiful play of "White Eagle" and a masterly of "Beach Theme" where Jerome's guitar is as much romantic and moving as that of his father. "Mellow Morning" is the first Encore and its languishing rhythm espouses quite well the tangent begun by "White Eagle". "Time And Tide" takes quite another dimension on Scored. Placed in this universe where the vestiges of the Dream are teeming, we would believe to hear a track forgotten in the vaults of the mythical German trio, from which "Choronzon" encloses with a revitalized version where the melodic charm of the fluty synths survive to the charges of Jerome Froese's guitar riffs. Scored is simply wonderful! It‘s a big show engraved on CD, of which we can see fragments on You Tube (Time And Tide), with an impressive setlist where each of the proposed tracks finds its new dimension. Whether it is of Tangerine Dream, Johannes Schmoelling or Jerome Froese, the titles melt themselves in their ambiences with a very beautiful balance between ballads, pensive melodies, bubbling riffs from a guitar with incisive solos, synths solos and harmonies of as well as sequences and the percussions which are the heart of this concert which is the proof that EM, as much cold as you think it could be, can be as well dynamic as warm, as any rock concert. "With its delicate melodic approach and its melancholic piano wrapped into TD's aromas, A Thousand Times is the kind of album which goes as fast as a soft wind caressing our skin eroded by years"
When we listen to Johannes Schmoelling's music we notice his immense impact on Tangerine Dream's work. If Christopher Franke had the sense of rhythms, the strength of Schmoelling laid in harmonies. And on each of his solo albums, we discover more and more the charm of the Dream which so suddenly disappeared following the Austrian musician's departure. A Thousand Times shows all of the melodious approach of Schmoelling with a beautiful collection of 12 tracks to the soft nostalgic harmonies where we can again still seize the essence of the mythical German trio. And it starts with "Monochrome" and its keys which are zigzaging and cross a series of piano note. From then on Schmoelling displays his melodious aura with layers of a foggy synth which cover a piano, an instrument which will be the premise of A Thousand Times, with a quite jazzy mood. Free and loosened out of any electronic hold, these notes dance on a structure with a lithe rhythm where fine percussions accompany a soft melody well watered by strata of a synth at both foggy and melodious which reminds us some beautiful musical souvenirs. More electronic "Diorama" follows a little the same harmonious and jazzy tangent with a synth which whispers a pleasant tune on a soft rhythm punctuated by fine jolts, awakening a free style always carrier of a nice melody which weaves easily its earworm. Nice melodies, romantic, melancholic and meditative abound on this Schmoelling last opus. "Funeral Tears (For My Father)" is a nice one. The rhythm is slow and heavy with its percussions which hammer a dark march of mournful whereas the synth draws its mists of suffering in the breaths of a very beautiful melody with an oriental zest. It’s very nice and especially somber. "Blueprint" is yet another one which lets itself rock by a slow rhythm. The piano is superb and draws a soft lullaby which sinks into a more dramatic passage with poignant synth solos roaring with pain and shouting with melancholy. "Footsteps", written and played by Johannes' son Jonas Behrens, is another melody which is situated between "Funeral Tears (For My Father)" and "Blueprint" where the orchestral arrangements add a rather filmic dimension. Yep, he walks in the footprints of his father! "Abacus" is sharply more nervous. The rhythm is curt and skips under the skirts of an attractive synth filled by aromas which seem to be taken out of the Le Parc sessions. The synth is edgy and pushes its harmonies on a beautiful meshing of sequences and percussions which shape a pace softly frantic. 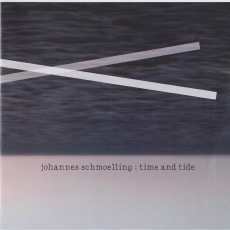 Everything is soft in Johannes Schmoelling's universe; the rhythms as much as the ambiences. If we want to move we turn towards "Abacus" and "Kite Runner" which offers a nervous cadence, and a melody à la Vangelis, on good sequences which hem in cascades. Listening to Johannes Schmoelling without making constantly reference to Tangerine Dream is very difficult and "Stigma" is the perfect example. A track which waltzes between the melodious moods of Flashpoint, Silver Scale and Legend, "Stigma" floats on a foggy austere intro where the synth bites the eardrums, as the rustlings of dry clouds in the middle of desert plains. Skillful, Johannes Schmoelling weaves atmospheres and structures which switch around on grave piano notes and good knocks of percussions, letting "Stigma" have a walk between hybrid paces and more ambient atmospheres. It’s one of the good tracks on A Thousand Times quite as the title-track which lets a soft melody floats on delicate rhythms and where the piano notes are merging harmoniously with a lyrical synth stuffed by beautiful vaporous waves. Slower and even more melodious, "A Thousand Times (Reprise)" floats on superb notes from of a melancholic piano which blows its tender nostalgias on a soft cadence in cascade. It’s very good and very beautiful and it’s even more when we link both tracks one after the other. "Palace of Dreams" is a great piano work. It's a tearing melody moulds in the ashes of Tangram and, yes, another magical moment in A Thousand Times. With its delicate melodious approaches, its references to Tangerine Dream's repertoire and its melancholic piano, A Thousand Times is the kind of album which unfolds its jewels as much pleasantly for the hearing as a warm wind caressing a skin eroded by the years. We want them, again and again. In all, A Thousand Times is a nice album in the continuity of Instant City where the catchy passages as much as the moments lost in melancholic mists ask constantly a new listening. Johannes Schmoelling embroiders the perfect amalgam between his synth, sequences, percussions and piano, giving some superb jewels of which the cradle is the harmonious structure of Tangerine Dream which revolutionized the genre from a concert given at the Palast Der Republik on January 30th, 1980. "There is no better than Johannes Schmoelling to forge a melody from a note lost in the furrows of its resonance"
A morphic synth wave comes to cover the coolness of the shrill echoes left by the imprint of a metallic chord which stretches its oblong pulsations in order to introduce the fascinating sequential ballet of "Splendid Isolation". Fine sequences pulled out of a bass line cavort under a swaying synth line. Winding invisible obstacles, they stagger among fragments of glass and iridescent breaths, moving forward and stopping like a fragile prey to emigrate towards a bass line from which the furtive pulsations awaken some reminiscences of a famous trio. Between its keys zigzagging under shrill breezes, its floating wanderings and its fragments of harmonies weaved in a sequential structure in constant uncertainty, the intro of "Splendid Isolation" is a long and superb prelude to a great melodious approach which shakes our contemplativity a little after the bar of 4 minutes. The rhythm is frank and is based on sequences with keys which alternate in a fluid velocity. Sequences dancing as a feverish pas-de-deux into a spiral which hiccups its spasmodic rhythm under the melodious attack of a synth which divides its airs, sprinkling its fine soloing melodies through its intense melancholic mist. "Splendid Isolation" is the kick-off of another wonderful album signed Johannes Schmoelling. Very well structured, the universe of Schmoelling is nevertheless much diversified and the one of Time and Tide shows amply all the control that the Austrian musician has on his compositions. Each of them abounds of a superb musical wealth where everything spins with grace and fluidity, embracing several directions before peaking in robust melodies. With his son, Jonas Behrens, Schmoelling offers 9 new compositions to metamorphosic structures where some gorgeous melodies are hiding into ambiences sometimes eclectic and sometimes poetic and where the magic of the Austrian musician awakens the memories of a world that we never want forgotten. Let’s take "Lone Warrior" as example. These 3:49 minutes are filled at most. It’s all start with a synth from which breaths of Jericho’s trumpets are melting into a heavy electronic ride overhung by smooth solos. Solos forger of melodies which espouse sequences as rhythmic as melodic, dragging the rhythm towards some fine ambient passages before being reborn on its horseback ride and gallops under a soloing sky and its iridescent mists. After an intro eaten away by the uncertainty of its hesitating keys, "The Gift" wakes up to the sound of heavy riffs and percussions which hammer a steady and light rhythm that a guitar and a synth are tearing with juicy solos. A rhythm which little by little loses one's point of reference to be fainted in a mist which scatters the drum strikings and slows down the heat of the riffs, driving "The Gift" towards an ambient passage that a violin is tearing from its tearful strings. Whereas the tempo tries an awakening, anarchy settles down. Knocks of percussions, wooden breaths, kind of xylophone keys and tears of violin cogitate on the shape to be taken while the rhythm takes back its rights of origin to reach the finale. "The Answer" is a splendid contemplative melody which begins with a delicate piano among which the melancholic note draw fragile tears which wrap up themselves of a veil of gloom. From angelic to melodic, "The Answer" gets free of its influence of solitude to let itself rocked by a bass line with fine pulsations and sober percussions that blades of synth are caressing of their waltzing morphic veils, entailing this soft rhythm towards the labyrinths of an indecisive serenity. "Zero Gravity" is a track divided between its melodious approach, its heavy rhythm and its dark ambiences. Electric piano notes fall by swirling in the mists and breaths of a synth shadowed by a strange aura of mystery. If the piano is melodious, the ambience is all its opposite with its ochred vapors which weigh heavily on a structure guided by sober percussions and torn between its melody and its dark side, its ambivalent rhythm and its tenebrous mood. It’s a quiet part shaken by static rhythmic jolts that a nasal synth tries to moderate with a suave romantic approach while that quite slowly "Zero Gravity" takes refuge within the ambiguity of its introduction. Waddling in a wave-like melodious approach fed by gentle knocks of anvil and breaths of a hoarse synth, "Beacon of Hope" moves forward on a harsh and light rhythm which appropriates as much the riffs heavy of guitar as the delicate mists of a creative synth. A synth of which the beautiful whistled melody will be the only vestige of this fine harmonious approach. "Life in the Dark" is a stunning static ride forged in the curt movements of an orchestral synth with hatched lines of violins. The rhythm is heavy, as a ride in dark plains, where the guitar spits its riffs and its black solos in a hallucinating paradox of symphonic rock. Another track with unsuspected evolutions, "Genetic Diversity" begins by crystalline arpeggios which drag their wandering in an atonal corridor. These electronic chirpings in suspension are gradually forming a rhythmic swarm which moves as knocks of scissors in space to bind themselves to some percussions rolling under the cooing of a synth to the unique musical signature of Johannes Schmoelling. Whistler and nasal solos overhang this heavy and motionless tempo, which looks like a military march, which faints little by little in an inverted whirlwind, letting some fine arpeggios swirl in an atmospheric uncertainty caressed by soft solos before that heavier percussions harpoon again the evasive rhythm of "Genetic Diversity" to bring it back towards its soldiery walking. The title-track is the jewel of Time and Tide's crown. A synth moulded of staccato breaths sounding so much like in Tangram is covering the drumming of a xylophone kind of drum to open the slow procession of "Time and Tide". The rhythm is slow, even statics, but extremely enchanting with percussions which get loose of the initial beat to hammer a funeral march where keys are waddling in the shade of these fluty pads and dense waltzing fogs. Knocks of percussions are thundering throughout this processional bolero which stores layers of mists, reverberating effects as well as majestic solo which tear the placidity of this magnificent musical parade which, contrary to all expectations, dips us back into the most beautiful feelings of the Dream and Tangram . Once again, Johannes Schmoelling amazes and charms me with an album of which the first listening had nevertheless left me indifferent. But Time and Tide shows to be a magnificent album. Through his suspicious and ethereal ambiences and his furtive and progressive rhythms Johannes Schmoelling succeeds the improbable by extirpating of silky melodies out of nowhere. And that is the strength of Schmoelling, as much as it was in his time with Tangerine Dream. 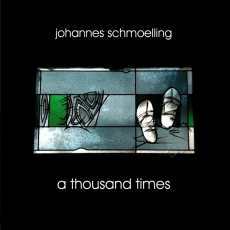 His works, in solo or with the Dream, are only confirming what his fans know for a long time; there is no better than Johannes Schmoelling to forge a melody from a note lost in the furrows of its resonance. Listen to Time and Tide and, as I, you will understand it...! 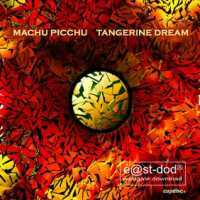 "Even if the melodies seem cold and calculated, Machu Picchu is a nice album which has its numerous winks of eye at the great years of the Dream"
If we trust the guide of press, Machu Picchu is a very personal work that Edgar Froese caresses since 2002. The work reached its creative paroxysm further to John Peel's death, famous disc jockey of the British radio BBC, who was one of the first journalists to believe in the potential of progressive and electronic music in the 60’s, of which Tangerine Dream. It's in Peru, near the crowned site Inca of Machu Picchu that John Peel breathed his last breaths, so explaining a title and an album which bears a little to confusion. Confusion because nothing lets perspire any kind of tribute to John Peel. The music being very far from the embryonic years of the Dream, and the ambience which surrounds Machu Picchu has nothing to do with the influences of an Inca world. But is it good? Hum... I believe so ... and here is why! Machu Picchu, it's the dream became reality! It's Edgar's reincarnation in the musical temples of Tangerine Dream. Really that I hear some of you whistle? Yes! But there's a snag ...there is always a snag somewhere. Leaned on a sequential pattern which weaves galloping and oscillating rhythms from the Stuntman and Pinnacles years and embroidered in sober and calculated melodies in the coolness of Edgar Froese's angelic synths, Machu Picchu is a surprising journey through the labyrinthine meanders and antipodes of the mythical German group. Surprising, Edgar spreads a superb pattern of sequences to hundred rhythms and ambiences that synths with melodies overused in an imagination dried up by an excess of productions are covered, by moments, of a melodic coolness which calls back the Miramar and TDI years. Like a finger touching the surface of water to draw gleaming waves, a note falls and awakens the lamentations of a synth from which the breaths crystallize some weak scattered chords. One would imagine being in a musical lake of Tangerine Dream where the timeless sweetness of Legend caresses our ears. A bass line drops its notes which float in suspension, awakening some souvenirs of Flashpoint, while rippling synth vapors are cuddling the hesitation. These notes align themselves and form a fluid sequential movement which waves under a pensive melody, leading "Caminos del Inca" towards its first sequential rebuff. It’s a brief moment of revolt before that the soft rhythm takes back its rights which will be scoffed here and there by short interludes that Edgar is watering of an ethereal poetic approach which goes up until the title-track. By far the weakest track on this last CupDisc, "Machu Picchu" sits on sober slamming percussions and melodic chords to the timbres of the Eastgate years that a chirping synth wraps of an insipid northern melody. Even if the duration is relatively short, its listening turns out long and boring. It's the only stain to Machu Picchu which recaptures the hair of creativity with "Adios a Cusco", dedicated to John Peel, and its bed of sequences from which the oscillating crystalline keys are dancing like a frenzied duet and are lulling a progressive tempo. A tempo which gradually carries at rhythm's length a soft and ethereal melody full of sweet breezes of silk and its electronic drift. "Tayta Inti" is heavier and darker. Its percussions shake nervous sequences with interrupted flows while the synths and its iridescent spectres chant a mesmerizing night-melody. As on all the titles of Machu Picchu, the rhythm is broken by interludes, ambient or floating, before the tempo spurts out again with a little more energy. If the synths seem to miss airs, or melodies, the sequencing is always bubbling. A bit intriguing, "Rio Urubamba" presents a beautiful harmonious approach with a so romantic and nostalgic synth blowing its perdition on a bed of sequences dancing in a spiral disorder. It's really a very beautiful title! "Piedra Intihuatana" concludes Machu Picchu with a galloping rhythm which walks with a spur gait on a good melodious approach. An approach weaved in the shade of a synth always so melancholic but fed by a filet of hope. The pace is steady and minimalist before hitting a quiet atmospheric chaos where the hesitation of the floating arpeggios proposes a good ambient moment, as it pours almost everywhere on this long romance of 45 minutes. "Exit is a nice collection of 6 tracks which only miss those musical bridges to link them in one great music piece"
It’s with renewed at the state-of-the-art equipment and with some dust from Thief that Tangerine Dream undertook a new turn with Exit. And, like it or not, it was a bitter disappointment. Used we were, except from soundtracks, to long forms musical pieces which sometimes perspired of great improvisations and were fed by so many rebounding, Exit offers a collection of 6 titles which, together, don’t exceed the 40 minutes length. That was something to make go pale the die-hard fans of the band. Nevertheless as much shorts these tracks could have been, Franke, Froese and Schmoelling still filled our ears at full. Metallic explosions open the sieve of "Kiew Mission". The percussions are rolling on an intro which doubtless inspired Blade Runner. Nervous the sequencer runs so well among the percussions, that we wonder which ones are which ones. A melodious synth line encircles the rhythm which becomes blurred to leave room to a nice voice of a Russian actress who recites words of hope and peace for the Russian people who lives a disturbing international tension on a narrative music. Solos of synth fly over a static ambience which livens up on more incisive keys leading to a superb melodious passage where the synth lends its breath to tones which easily mix into heterogeneous voices. It’s a great track which rolls on brilliant sequencing and nice metalized synth layers which became a classic and still furnish TD's concerts. "Pilots of Purple Twilight" is a static track on a metallic background in suspension. Pierced by synth lances it buzzes of intensity in the shade of a heavy and nervous sequencer. "Chorozon" is terrific! It’s a heavy and loud track caressed by a melodious synth. It has all the ingredients to please; symmetric percussions, atmospheric synth with harmonious strata which cut a wonderful and catchy melody fed by celestial choirs on a background of temporary madness. The whole thing lies on an evolutionary rhythm filled by slamming sequences which hold in contempt the usual percussions. It’s a short and simply divine track, quite as the fabulous "Network 23" and its beat à la Kraftwerk. The title-track is a superb melody which will become legion in the repertoire to come of TD. All in its subtlety, flexibility and harmony, the circular movements are of melodious candy comfortably settled on a light rhythmic section. "Remote Viewing" replaces in saddle the cautious approach of TD's tones. It’s a little like the intriguing and floating ambiences of Invisible Limits and the works of all stripes from the early years of the band with a zest of Thief in it. 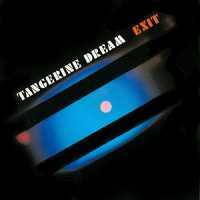 With Exit, Tangerine Dream tries a more accessible and commercial approach of its works. Short tracks which are good, needs to admit it, and which show an innate sense of harmonies. Is it the Schmoelling effect? It’s look like this! With hindsight it couldn't have been otherwise; because once Schmoelling left, the melodic musical orientation of TD took a beating. But let’s put us in the context; after Tangram the fans awaited, and aptly, for a more complex, a more sophisticated work, from where the generalized deception. Or was it just me? Anyway! As far as I’m concern now, Exit is a nice collection of 6 melodious and rhythmic music pieces to which are only missing these musical bridges that link those ones into one great piece of music. And there one would have shout to genius!